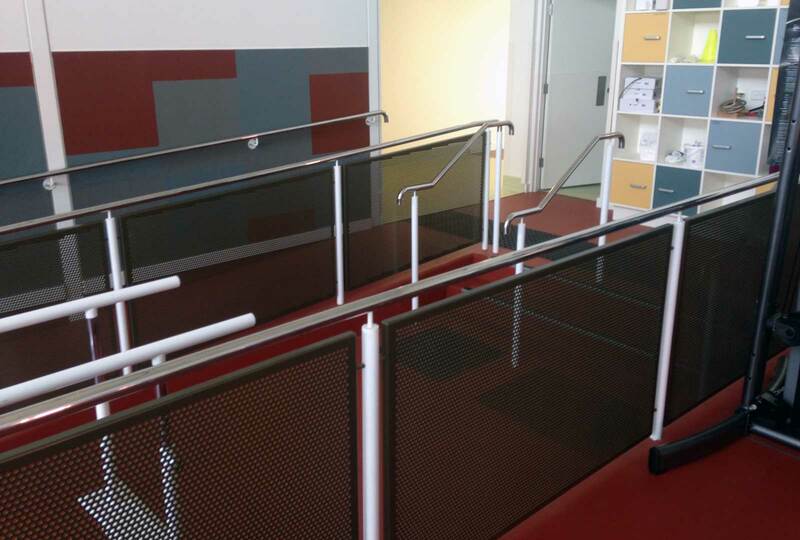 Augen Design undertook the supply and installation of the perforated powder coated panels. 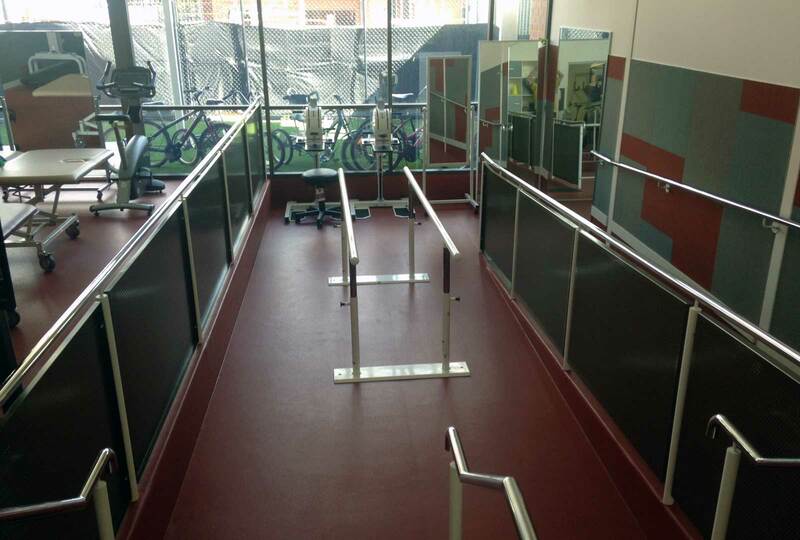 The panels were measured and installed to fit the existing handrails and uprights. 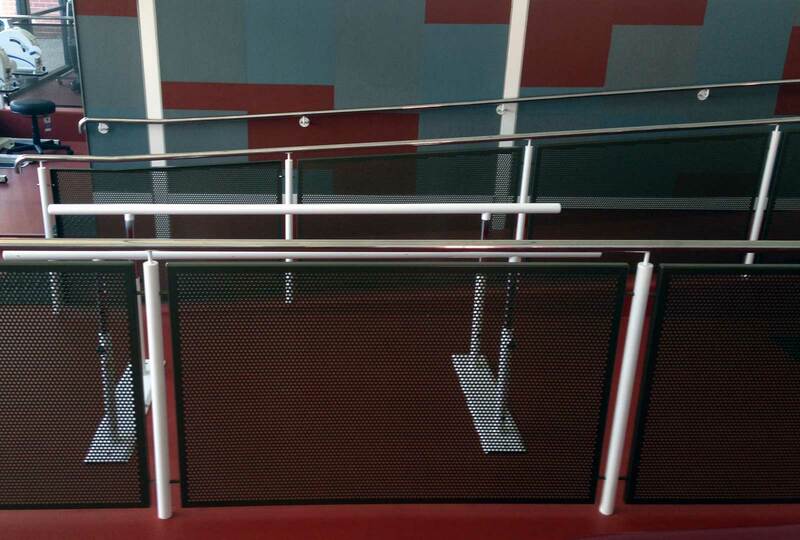 The perforated panels act as the balustrade infill panel and the wheelchair ramp. It had to be designed so that wheelchairs and trolleys did not catch or be hindered on the ramp.